Each year many people suffer sneezing, running nose, congestion, sinus pressure, red itching eyes and headache. People have to take some sort of medication as antihistamine, nasal decongestant spray or even cortisone based inhalers. These drugs help relieve the symptoms, however they cannot solve the root of the disease. Drugs may have some side effects as drowsiness, dryness, dizziness, and digestive discomfort. Therefore many people look for some alternative way to help treat the alloy disease. Acupuncture and Traditional Chinese medicine appear to have every good effect. In Chinese medicine theory, hay fever is due to Wei Qi deficiency (defensive energy deficiency) and external Wind-pathogen invasion. Hay fever is a seasonal disease. It often affects people in spring and early summer. Spring is a Wind rich season. This Wind in Chinese medicine can be interpreted as pollen, bacteria and viruses, etc. When wind attacks human, it often causes sneeze, itchy eyes nose and throat, running nose, tearing, and other Hay fever symptoms and signs. However only wind attacks body does not necessary cause hay fever. Wei Qi deficiency (low defensive energy, low immune function) is another key factor why people may have recurrent hay fever each year. Secondly, treat the root of the disease: strengthen the Wei Qi (strengthen the immune function) with acupuncture, moxibustion and Chinese herbal medicine. At the same time, patients have diet and exercises advices to help strengthen their immune function. 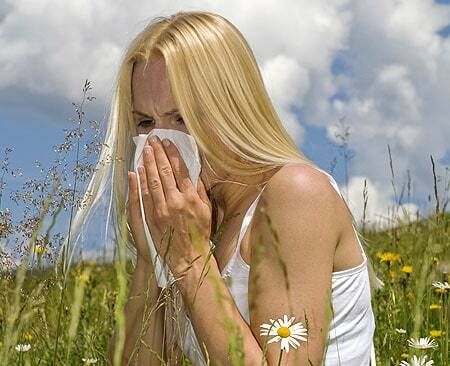 In this way many people can have a lot of improvement and eventually cure hay fever.